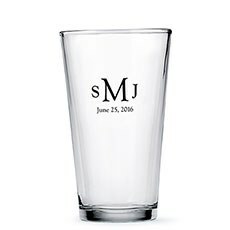 We love to see brides and grooms use these personalized glasses as super-classy wedding favours. 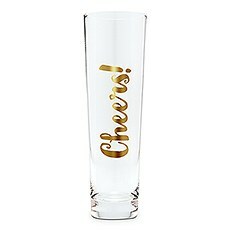 Invest in a set of personalized frosted bulk shot glasses, wedding party pint glasses or custom champagne glasses that let you toast like pros. 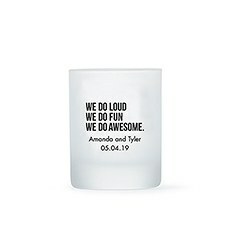 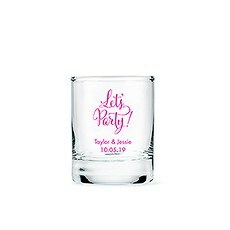 Brides and grooms who love to throw a party can order high-quality yet affordable personalized shot glasses in bulk for a truly special and practical take-home goodie. 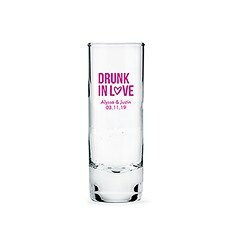 Fill them to the brim with your favourite spirits, stack them high in a pyramid at the bar or finish off your table settings with them to ensure that everyone knows to take one home. 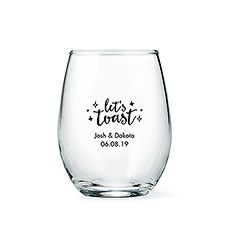 With so many unique messages and designs available, you'll surely find a style to suit your wedding theme and colours at Weddingstar. 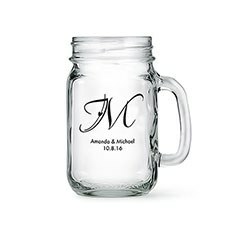 We also offer a large variety of personalized mason jars, including jars with cut holes in the lids to accept straws, for a great way to add cheer at your rustic or down-to-earth wedding. 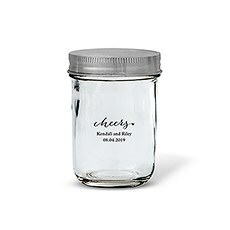 You can use any of our custom mason jars with lids to create unique wedding favours that steal the show. Fill them up with homemade jellies, jams, cake mixes, seeds, dried flowers, homemade apothecaries or anything else you can dream up for a one-of-a-kind finish. Top them off with our personalized favour tags and stickers for a sweet and enchanting way to tie together your theme. 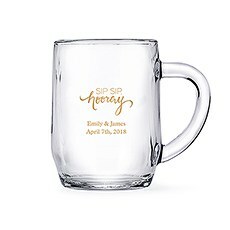 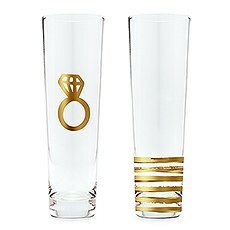 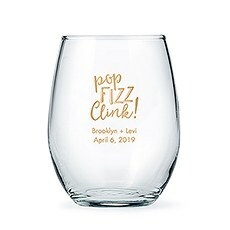 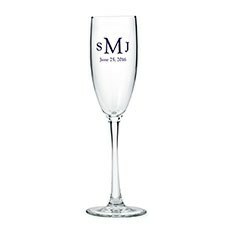 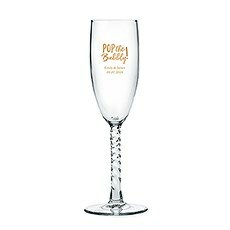 In addition to personalized mason jar drinking glasses, we also have custom wedding pint glasses and affordable personalized champagne flutes that make excellent gifts for the bridal party. 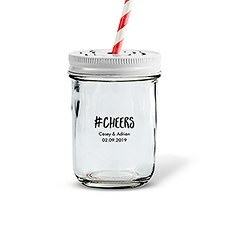 We're sure your best buds will appreciate these thoughtful gifts, especially if you pair them with their favourite drinks! 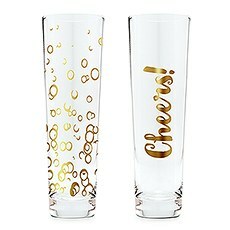 Whether you're here for glassware wedding favours or unique gifts, Weddingstar is the best place to find all your wedding-related essentials. 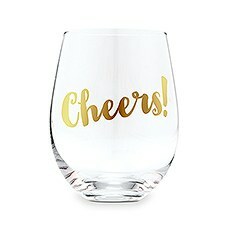 When you buy from our store, you get free shipping on orders of $99 or more!